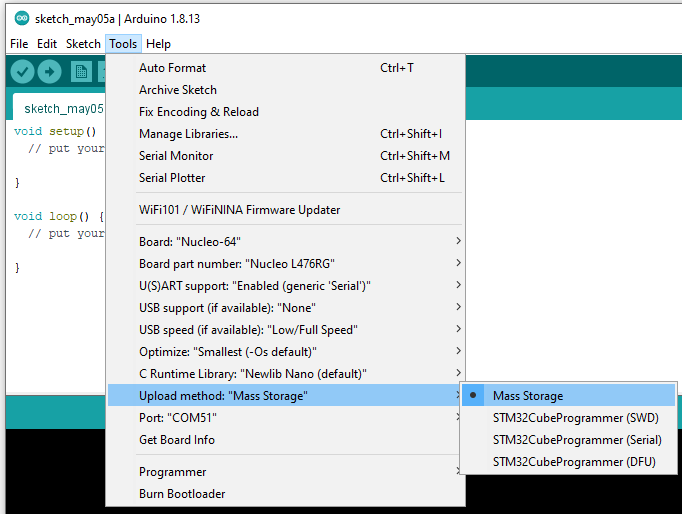 This is the needed step to get STM32 targets added to Arduino. So carefully follow the following steps. 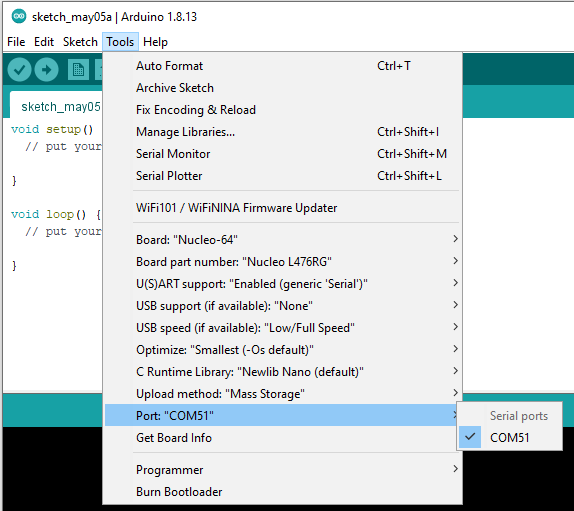 Follow the below steps to get STM32 boards installed to your Arduino IDE. 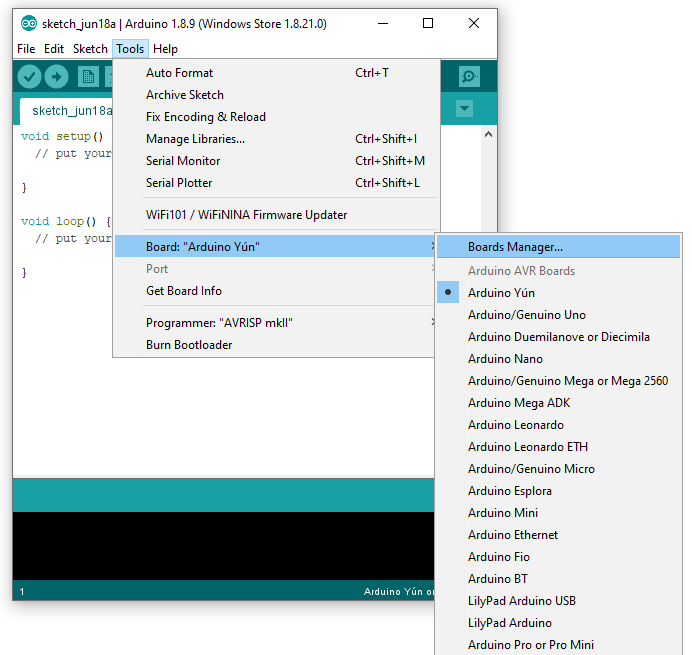 1- Launch Arduino.cc IDE. Click on “File” menu and then “Preferences“. 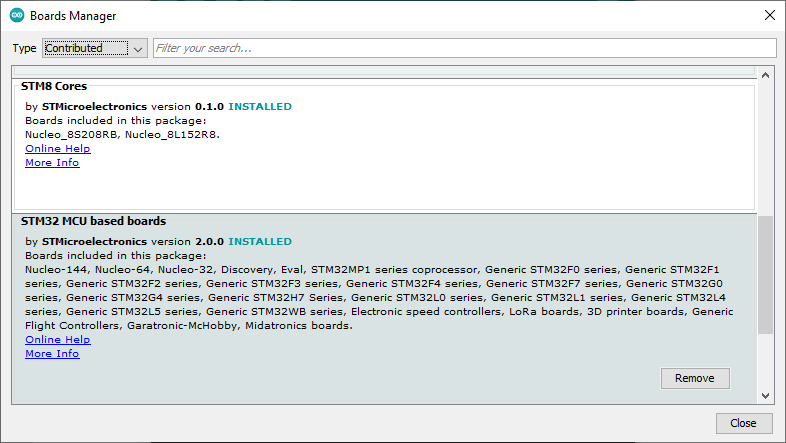 Select the “STM32 Cores” and click on install. 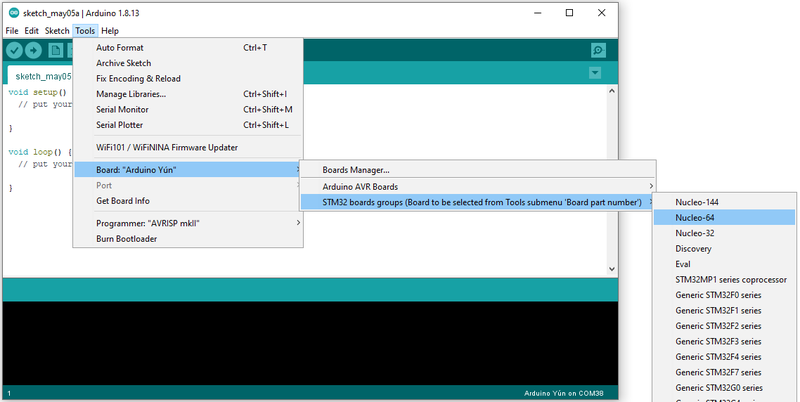 After installation is complete an “INSTALLED” tag appears next to the core name. 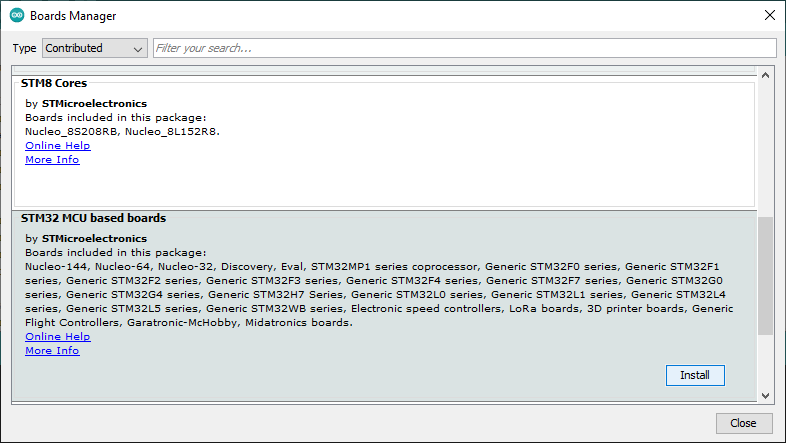 Now you can find the STM32 boards package in the “Board” menu. 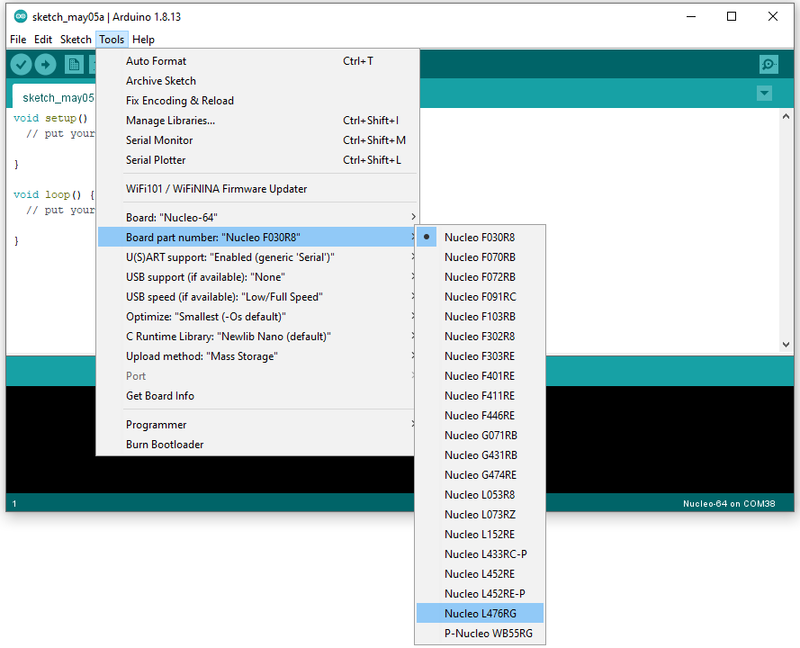 Then you can find the Nucleo-64 boards available in a sub-menu of the “Tools” menu. If you have any issue to download/use a package, you could file an issue on Github. If you have any issue to download a package, ensure to not be behind a proxy. 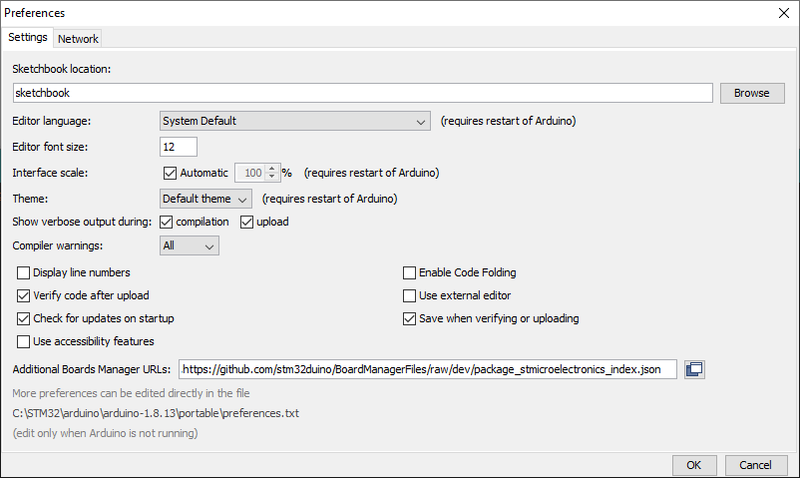 Else configure the proxy in the Arduino.cc IDE (open the “Preferences” dialog and select “Network” tab). On Mac, it’s something like /dev/tty.usbmodem-1511. On Linux, it’s something like /dev/ttyACM0.